These playful development toys from Bioserie are made of bioplastic, a natural product derived from plants. That means no nasty artificial chemicals, no heavy metals, no BPA or PVC, just worry-free playtime for you and your family. It is so important to know that the toys your baby plays with, chews on, and grows up with are not hazardous to their health. A little peace of mind goes a long way. These bright and colourful development toys from Bioserie are just the thing to put your mind at ease. Bioserie toys are made from bioplastics – materials that are derived from sustainably grown plants. They contain not a skerrick of oil-based chemicals. So they are both baby safe and environmentally friendly. 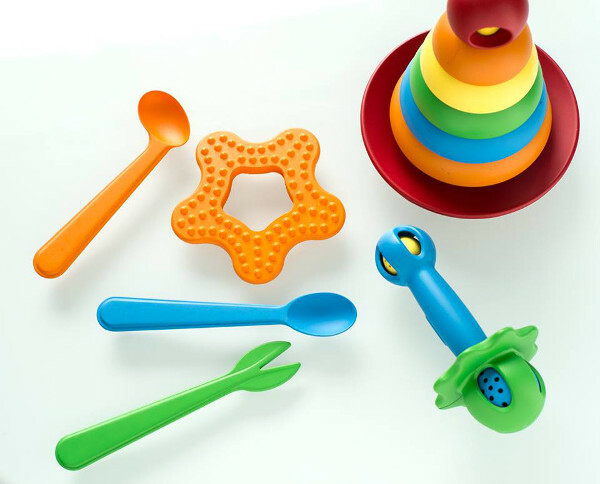 Materials aside, Bioserie has created wonderfully playful development toys for babies: a stacker toy for motor skills, a colourful rattle for sensory development, a lovely star teething ring and a snazzy cutlery set. It’s a great range, and every piece can be cleaned in the dishwasher. How’s that for hygiene? You can pick up a three piece Bioserie toy set for US$49.95 with free shipping worldwide. 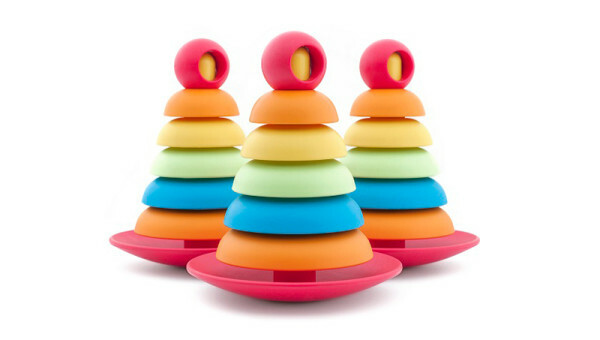 The three piece set includes the stacker toy, teething ring, and rattle.